Due to the lack of planning of excavation and movement of material, the path to the open pit is blocked with the excavated soil. For any long term business it is advisable that mining engineers properly plan the excavating activities. 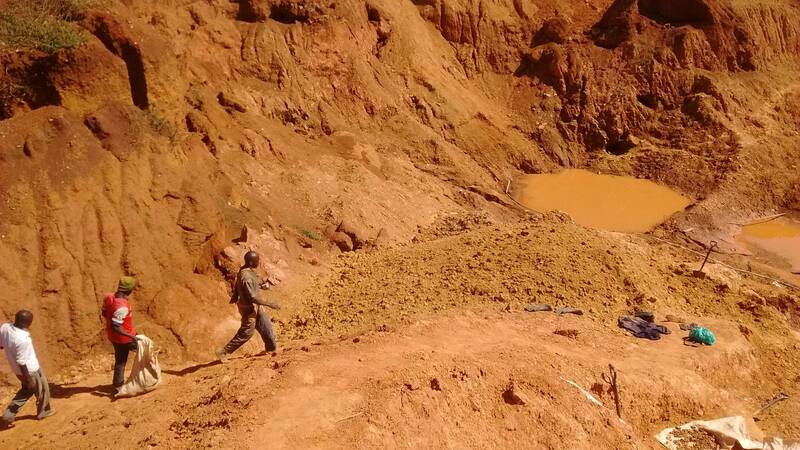 This mining site is not or was not managed by our company at the time of making this picture.